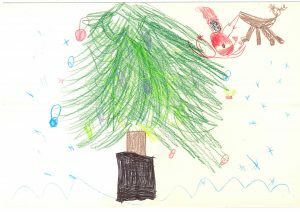 The Registrar is thrilled to receive the first entry in the Christmas Card Design Competition for 2018! The design, received from Freya (6 years old) is just gorgeous – thank you Freya! This page was last updated on November 23, 2018 .